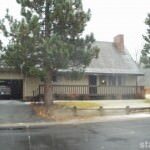 2518 Cattlemans Trl South Lake Tahoe CA offered at $298,500Classic, very clean spacious Tahoe chalet (although dated- sorry, no SHAG!) 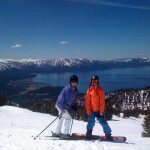 located in very desirable Montgomery Estates with easy access to Pioneer Trail, Heavenly Valley & Stateline area. Large parcel with big back yard, nice rear deck to enjoy sunny days & mellow evenings, huge deck over oversize double garage w/workshop area, spectacular soaring floor to vaulted ceiling brick fireplace + open loft(3rd bm.) for gaming or extra beds to sleep...Continue Reading!